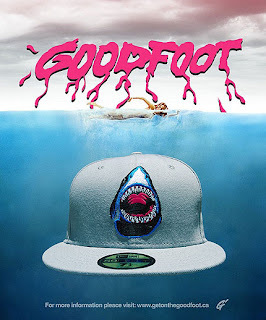 Everyone's favourite Canadian boutique, Goodfoot, has released their Spring 2009 line-up of New Era fitteds. 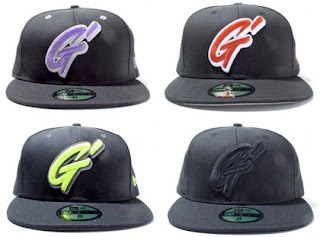 This season sees the the iconic "G" embroidered on the solid black canvas with "GDFT" stitched in the backside. The hat is available at all Goodfoot locations (Toronto, Vancouver, St. Clair, Montreal and Calgary). By far my favourite cap that ever came out of the Goodfoot camp was the Jaws release in Spring 07. If only I could track one down for the old collection.